It’s an unseasonably cold Tuesday night in April, and people are filing into Metropolitan Kitchen & Lounge. It’s a rather eclectic group of artists from various disciplines—rappers, singers, beatmakers, poets, comedians, videographers, photographers, and graphic designers, all mingling in the dimly lit bar with drinks in hand, waiting for the What’s Dope Open Mic to officially begin. Malcolm McFadden, who goes by the stage name Justice The Genius Child, is first up. McFadden plays many roles at these monthly events. 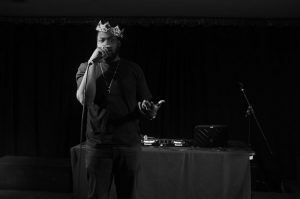 He is not only a performing rapper, but also the event’s mastermind and emcee, organizing the list of performers and keeping the crowd engaged between sets. McFadden has a familiar rapport with the audience. Jokes, shout-outs, and one-liners fly back and forth from the stage to the audience, eliciting oohs, aahs, laughs, and boos. The feel is akin to watching a group of friends holding a comedy roast. After a few minutes of opening remarks, he starts off the night with an a cappella version of a song from his latest self-produced album called The Session. The crowd, full of many other rappers and artists, emphatically reacts to lines they like with cheers, putting a smile on McFadden’s face mid-song. The audience is far from passive, and fuels the artist as much as the artist’s music fuels the crowd. The scene is emblematic of the growing hip-hop culture within Annapolis that has sprouted from this event. It’s a small but tight-knit community where artists and fans alike have the mindfulness to support each other’s efforts. 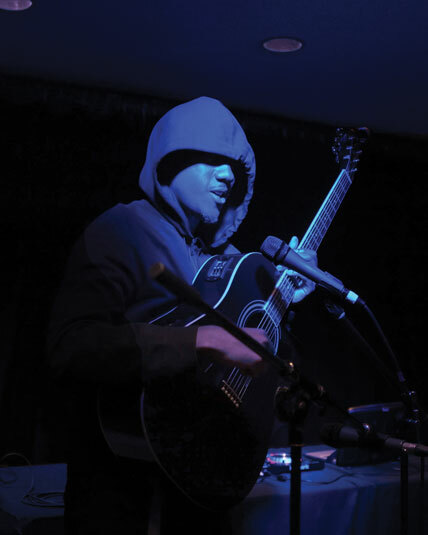 Historically, an open mic night has been an outlet for artists of any vocal performance genre to share their work with the community, and this gathering is no different. 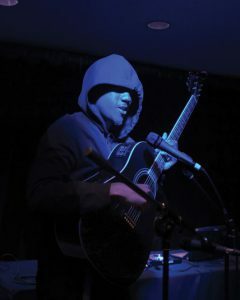 What’s Dope Open Mic welcomes and supports myriad talents. During its year-plus-long stint at Metropolitan, the event has included performances from a number of artists from rock, indie rock, acoustic, and spoken word genres. What’s Dope, sponsored by The Conglomerate—a company McFadden cofounded with his sister Darin Gilliam and two others to help facilitate events for independent artists in the area—has been a melting pot of people from all different demographics since day one. “You see people here that would probably never hang out outside of this space. I think that’s the cool part,” says Gilliam. Luka Kartozia, otherwise known as HEYITSLUKA, is a hip-hop artist from Severna Park who has performed at some of the What’s Dope Open Mic nights. He says that the hip-hop music scene in Annapolis is small but growing. 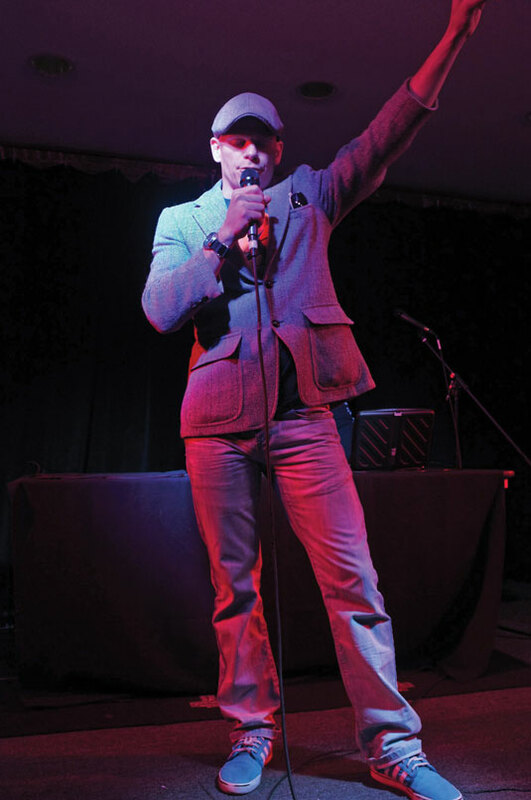 Metropolitan’s venue manager, Joe Martin, likens Metropolitan to a giant crockpot of genres cooking for the area.” Before The Conglomerate approached Martin about What’s Dope Open Mic nights, no other venue was hosting hip-hop events. Martin was happy to fill that void. “It’s about the community,” he says. 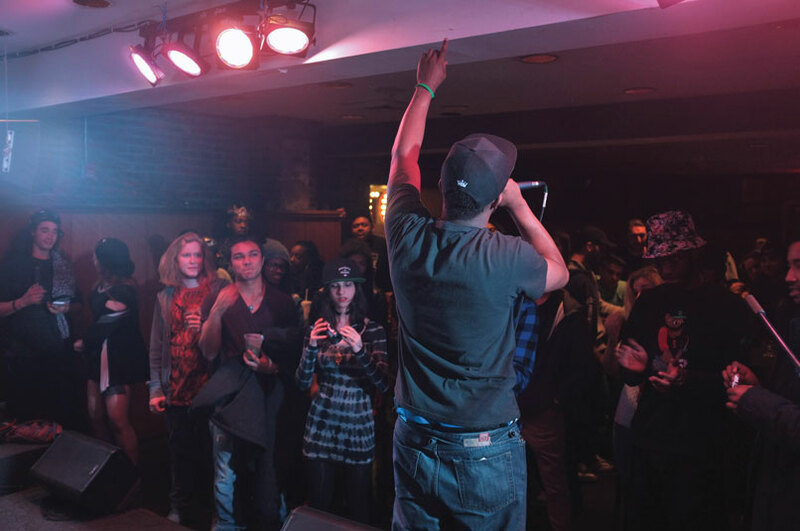 The Conglomerate and Metropolitan have become strong allies, seeking the common goal of furthering the independent artist music scene in Annapolis. 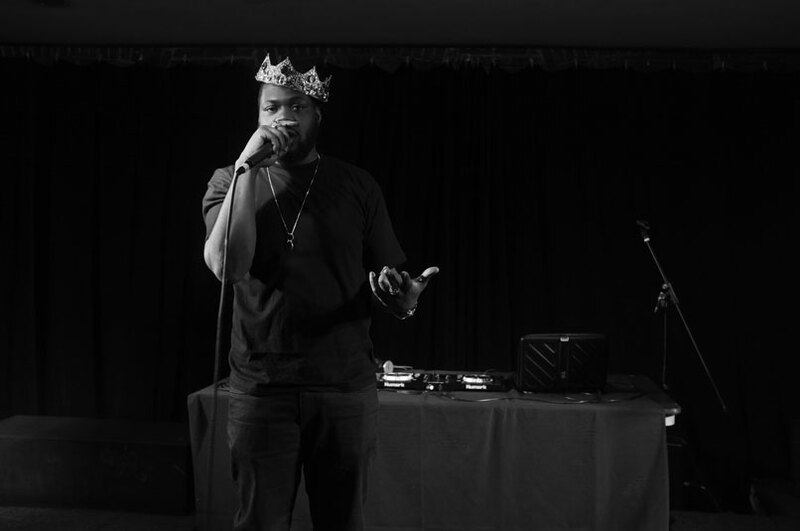 The Conglomerate recently expanded and now hosts individual artist showcases at Metropolitan. 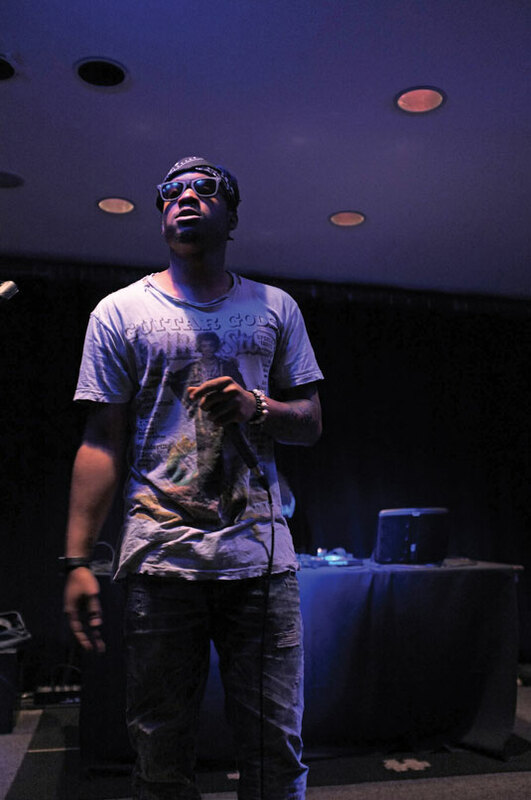 It recently sponsored a live recording event with Davonne D’Neil, a talented R&B singer, and featured rapper Kojo and singer Kameron Ralls, all from Annapolis. Martin says Metropolitan averages two to three hip-hop shows a month and is looking to do more, trying to draw in acts and crowds from the Baltimore and Washington, DC, areas. In addition to expanding its events calendar, The Conglomerate is hoping to collaborate with artists of other media in the area, including muralists. That has The Conglomerate very excited. “I feel like these scenes go hand in hand because they complement one another,” says Gilliam. 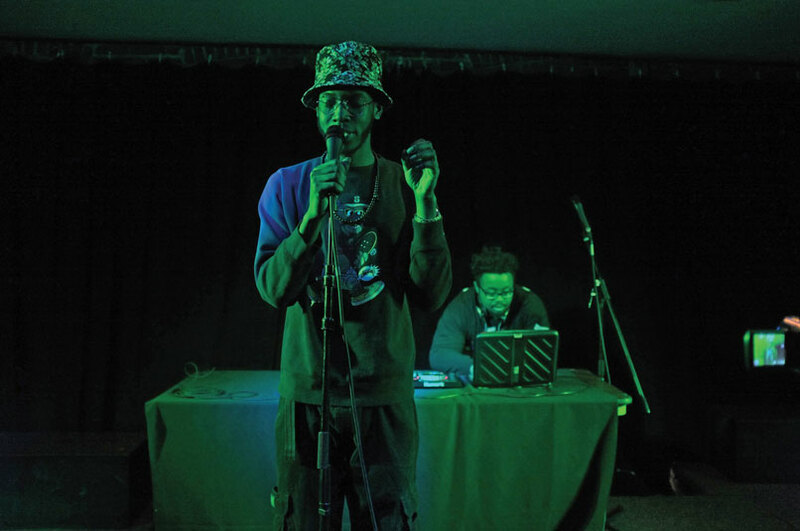 Through their work, Gilliam and McFadden aim to help build a friendly, inclusive platform for local, independent artists to share their talents with all of Annapolis, like they have with What’s Dope Open Mic nights. Error: Error validating access token: Session has expired on Saturday, 09-Mar-19 15:57:50 PST. The current time is Wednesday, 24-Apr-19 07:50:39 PDT.